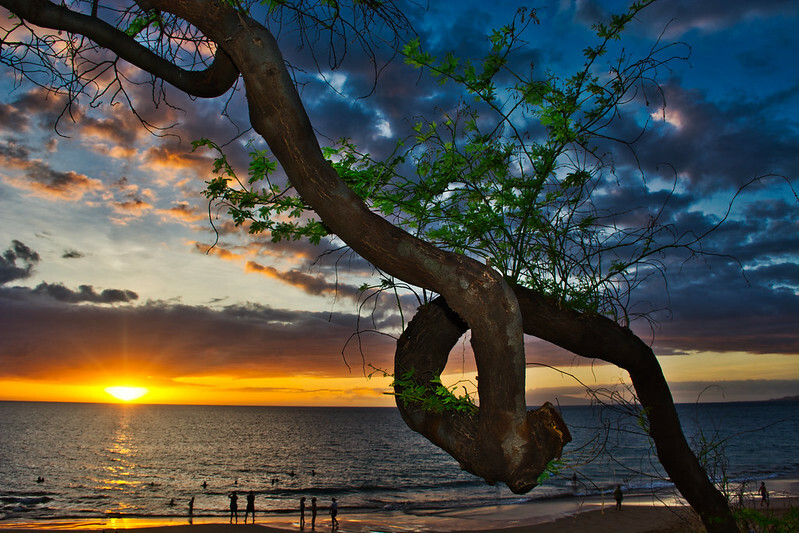 A sunset from Kamaole III beach park through the trees. The sunset was not real great because of the very low lying clouds at the horizon which I assume prevented the great color that usually comes with the high scattered clouds. Image published by Kirt Edblom on 2018-11-28 18:53:21 and used under Creative Commons license.